How to manage storage on iPad? 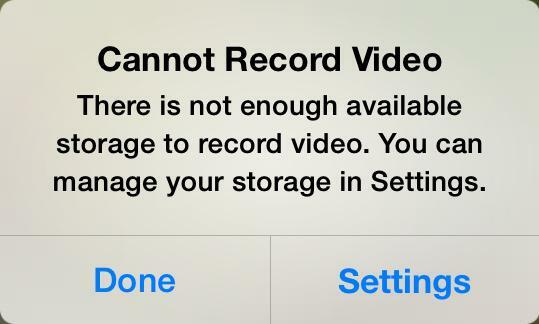 If you are on a 16GB iPad, you need to read this post on how to manage your iPad storage. Have a try on PhoneClean to free up storage on iPad after reading this guide on how to manage iPad storage in three ways. For 16GB iPad users, managing storage on their iPad could be a tough task because the limited storage space can be easily eaten up with time and use. That's why many people are asking the same question: How can I better manage storage on iPad? We have previously introduced you how to manage your iPhone storage, here in this guide, we will also shows you three ways to manage your iPad storage. Keep on reading to find out the solutions. Taking wonderful photos. Watching amazing videos. Listening to beautiful songs. There is no doubt that everybody is fond of enjoy those happy time with Apple iPad. The media files like photos, videos, and music take a great number of storage space on our iPad. So if your 16GB or 32GB iPad is running out of space, don't be panic, check out if you have stored too much photos, videos and songs on your iPad. Just transfer these media files to your home computer, then delete some of them from your iPad to get more storage space. We always install a lot of apps on our iPad, especially the game apps for the iPad is kind of handheld game console. However, these apps could be eating up the limited storage on iPad, say, the game app - Asphalt takes about 1.4 GB of iPad storage. Removing games and other apps that you don't need anymore can free up a lot more space, and you can re-download the app from App Store as you want because they are stored in iCloud with your Apple ID. With time and use, there can be a large volume of junk files generated by apps or iTunes sync stored on your iPad, including caches, cookies, temp files, off-line files etc. To thoroughly clean out your iPad to free up storage, you will need a professional iPad cleaner, and PhoneClean is the best option to go. It is specially made to scan and remove junk files from iPhone, iPad and iPod touch. 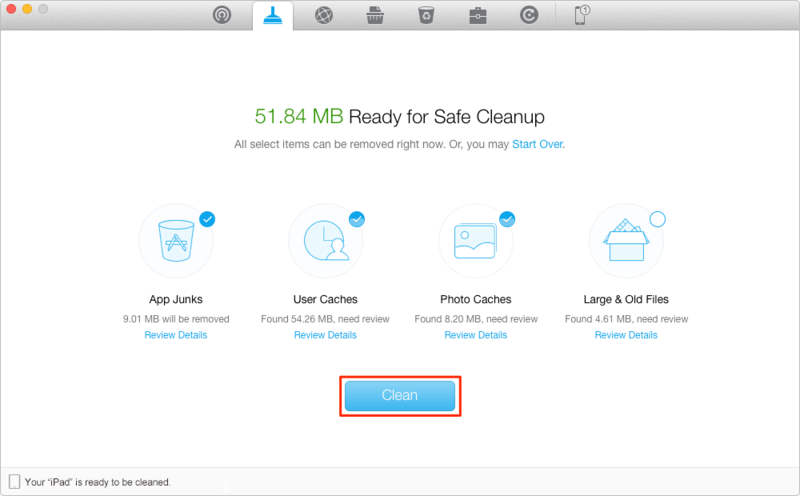 PhoneClean helps reclaim 40% - 60% storage space, a big deal to a 16GB iPad. Now download PhoneClean to free up storage on your iPad. Step 1. Launch PhoneClean > Connect your iPad to computer via a USB cable > Click on Quick Clean on the homepage. Step 2. Select the items you want to clean > Click on Clean button. Note: As for Safari Junks, tap on "Internet Clean" on the homepage of PhoneClean. Click on Scan button. You can see the scan result and choose the "Clean" button to delete. The steps are same as mentioned above. If you have any good ideas about how to efficiently manage your iPad storage, please be free to share it with us in the comment section. 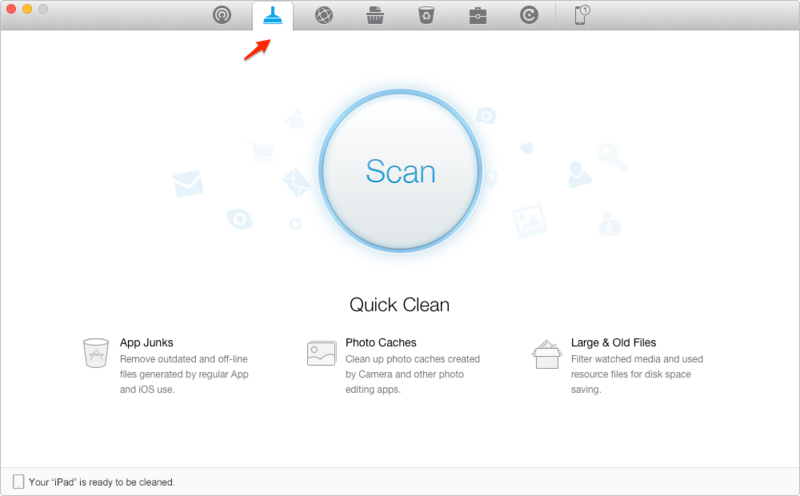 Moreover, PhoneClean is the best option to clean out your iPad and free up more storage for you. Give it a shot now.